Do you have a frequent traveler on your Christmas shopping list? You’ll want to check out our list of 4 Christmas gift ideas for travel aficionados. Travelers are an amazing group of people. I love watching their photos fill my Instagram feed and dreaming about where I might travel someday. While we do travel a lot, it’s mostly all local. Someday I hope to travel the world more, but for now I dream. Do you have any travel aficionados on your Christmas shopping list? They can be a real challenge to shop for since they often buy the things they need. 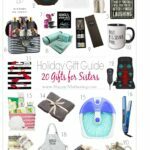 We have a few fun Christmas gift ideas for travel aficionados that will hopefully work for that hard-to-buy-for person on your list! Many people that travel a lot like to read about the places they plan or hope to visit someday. Does the person on your list have a trip planned? Or do you know their dream location? Surprise them with a fun travel guide for one of those areas! One of the travel guides I picked up this year is Base Camp Las Vegas: 101 Hikes in the Southwest. It is essential a guide of the 101 of the best hiking destinations within 1-2 hours of Las Vegas. Base Camp Las Vegas gives hikers the logistics and details for day hikes immersed in nature while enjoying world class amenities by night. The vivid post-card photographs of the views on the hikes are taken by the author herself. Hopefully, we will get a chance to use this guide in the spring, either with our family or our Girl Scout troop. When you’re on the go, you need to stay hydrated. I can’t tell you how many water bottles I’ve lost or broken in our adventures. I discovered this company, Love Bottle, that makes amazing water bottles. Made in the USA, Love Bottle is crafted with up to 40% recycled, eco-friendly glass. I love that Love Bottle also donates 5% of each purchase to Global Water, which helps communities get access to clean water. They have a ton of styles in addition to this Love pattern. Aren’t they fun and beautiful? Who gets cold on airplanes? This girl! I have always dressed in layers when I fly because it seems like planes are either really hot or really cold. I’ve even started packing a blanket many times when I fly. This super awesome PediPocket blanket is perfect for traveling. You can use it on the plane or back in your hotel room. The most amazing part is the 20” pocket that envelops your feet and calves, keeping your whole body warm and toasty. And it’s nearly 6 feet long, so it’s plenty long enough to cover any person. The velvety fleece is so incredibly soft, that it will be appreciated by any gift recipient! Every few years, we have to upgrade at least one item in our travel gear arsenal. We’re right at the point where we needed to replace our camera backpack. We’d had it since 2008, and it’s seen better days. So this time we got an amazing Tenba Roadie HDSLR/Video Backpack. It can hold up to 2 DSLRs, 6-8 lenses (up to 300mm f2.8), monopod and shotgun mic, audio (headphones, recorder). Since we’re planning on doing more video in the new year, and we are looking to upgrade our DSLR, we wanted to upgrade our travel gear too. I’m super impressed with how well laid out this pack is, and how much space there is. Even though it is large, it does adhere to carry-on standards. In addition to all of our camera gear, we can also pack a laptop up to 17″, so we can get started on editing right away. While it is weather resistant, it also comes with Tenba’s exclusive WeatherWrap removable rain cover so you can make sure your gear is safe and dry. Tenba also offers rolling bags as well. Some of them are even crush resistant, which is great for flying. 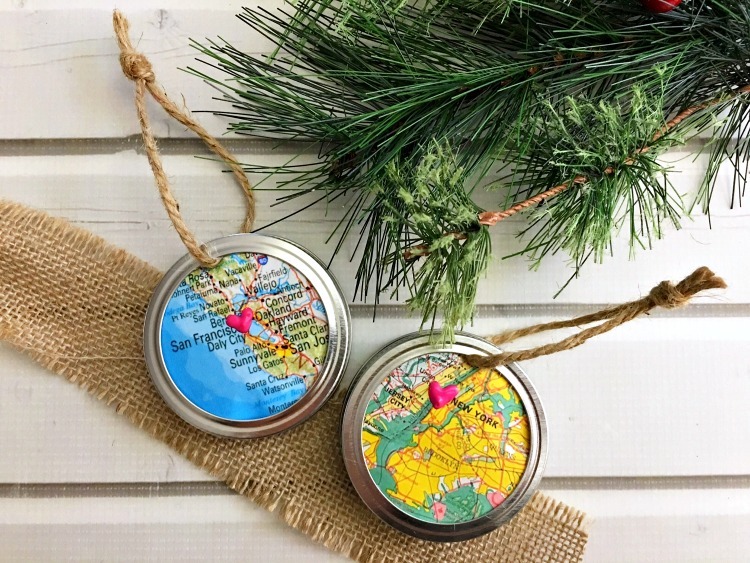 Who doesn’t love a homemade gift, especially one that celebrates your travel?! This year, we created a fun Map Ornament tutorial. All you need to do is figure out the destination, and you have a gift that will be cherished for years to come. 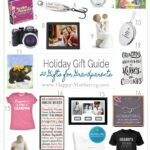 What other Christmas gift ideas for travel lovers would you add to this list?